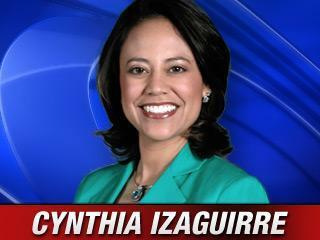 Initially set for Wednesday, Jan. 2nd, Cynthia Izaguirre's debut as Daybreak's new co-anchor likely will be on Friday instead. She may make an earlier appearance Thursday, though, on Belo8's noon newscast, president and general manager Mike Devlin said in an email. Later Wednesday, via telephone, Devlin said that Izaguirre possibly won't make her first Daybreak appearance until Monday (Jan. 7th) if she needs more time to get comfortable in her new surroundings. "I can't understand the fascination with this," he said. Her informal Belo8 debut came Monday night during the station's locally produced New Year's Eve special, which drew an impressive 216,768 homes in D-FW. Sports anchor Dale Hansen and weathercaster Pete Delkus welcomed Izaguirre as only they can before Delkus said in closing, "We'll look forward to seeing you Wednesday morning." Izaguirre herself told them that she'd be joining Daybreak on Wednesday, but "these things aren't set in stone," Devlin later noted. So anyone expecting to see her on Wednesday instead saw incumbent Justin Farmer soloing. Izaguirre, a University of North Texas graduate, had spent the last eight years at KOAT-TV in Albuquerque, N.M. before Belo8 hired her to replace Jackie Hyland, who returned to New York to be with her family. Daybreak currently is running second in the early mornings to Fox4's Good Day. In other developments, see how the New Year's Day Bowl ratings stacked up in D-FW. Also inside: a review of the new, four-part PBS series Pioneers of Television.